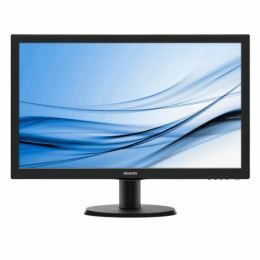 Enjoy vivid LED pictures on this Philips display. Equipped with HDMI and stereo speakers, it's a great choice! An HDMI-ready device has all the required hardware to accept High-Definition Multimedia Interface (HDMI) input, high quality digital video and audio signals all transmitted over a single cable from a PC or any number of AV sources including set-top boxes, DVD players and A/V receivers and video cameras.